Christmas is getting closer and if your kids are into Minecraft why not get creative with them and make Minecraft themed Christmas decorations. 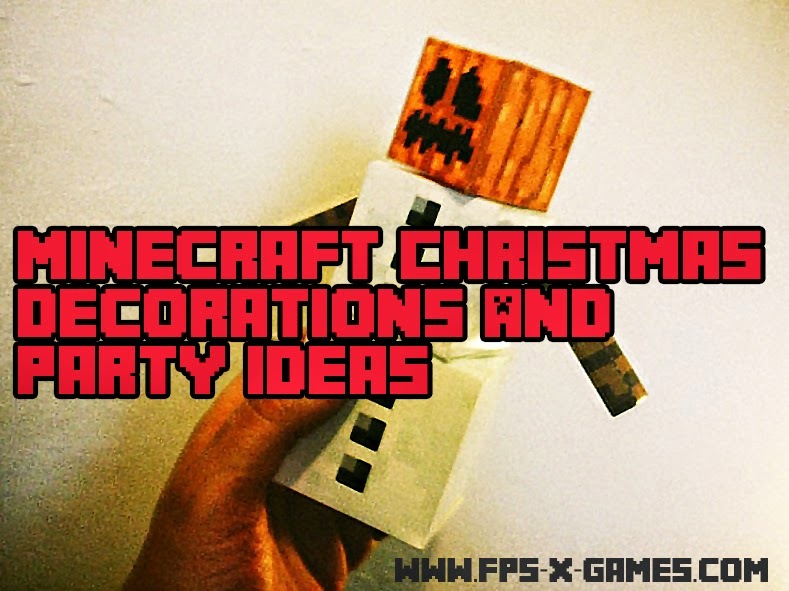 I have put together an awesome selection of Minecraft Christmas decorations and activities for all the family to get involved in. Wrapping presents is part and parcel for any awesome Christmas. Why not buy Minecraft wrapping paper from the official Minecraft store JINX, plus it's more cost effective opposed to printing. Need an awesome Minecraft gift idea? Set of 5 (Paint Your Own) Minecraft Inspired Tools, Sword, Shovel, Hoe, Pickaxe & Axe simply a great Minecraft activity for the kids.